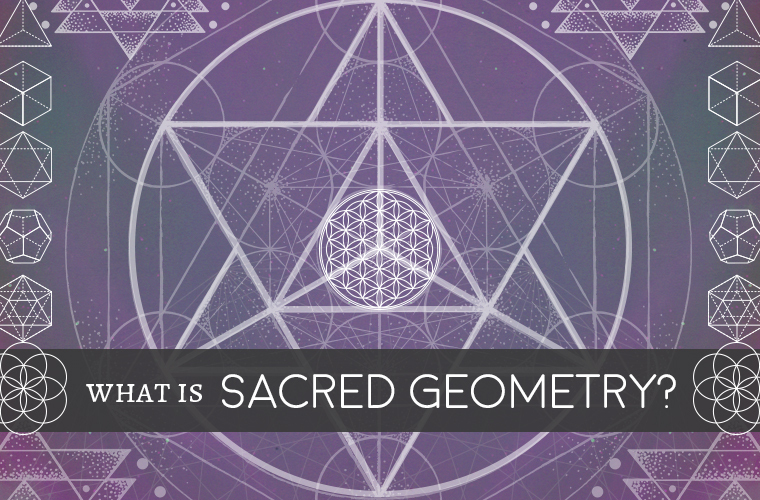 Sacred Geometry is a series of geometric shapes with deeper metaphysical meaning. 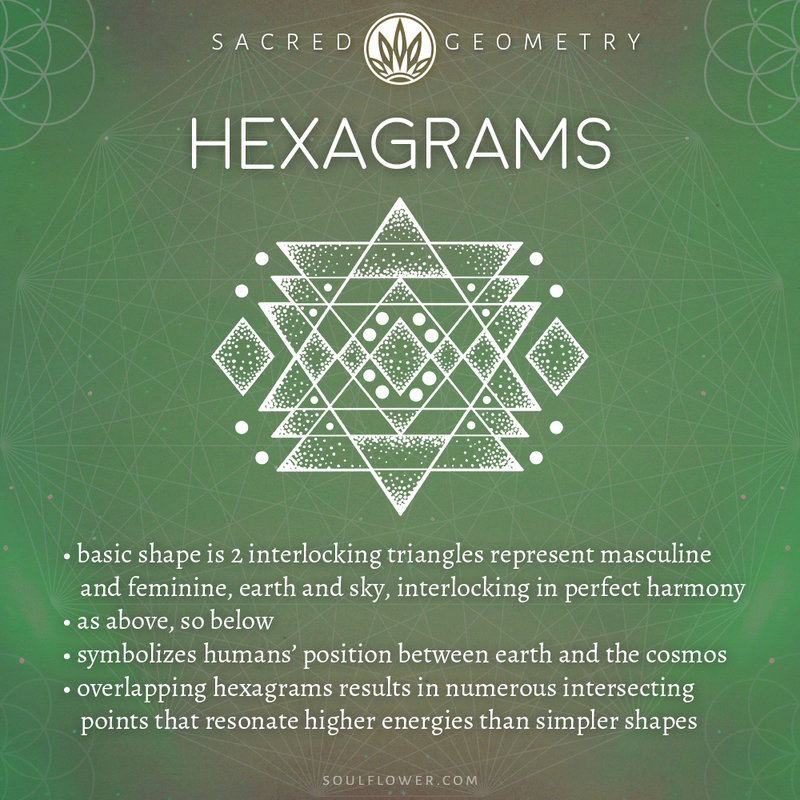 These shapes offer insights into the basis of the world around us, helping us explore the idea that the entire cosmos was created according to a specific geometric plan. Behind the chaos, there is order. This “blueprint” that underlies the structure of everything reveals itself through patterns, frequencies, ratios, and forms across disciplines. 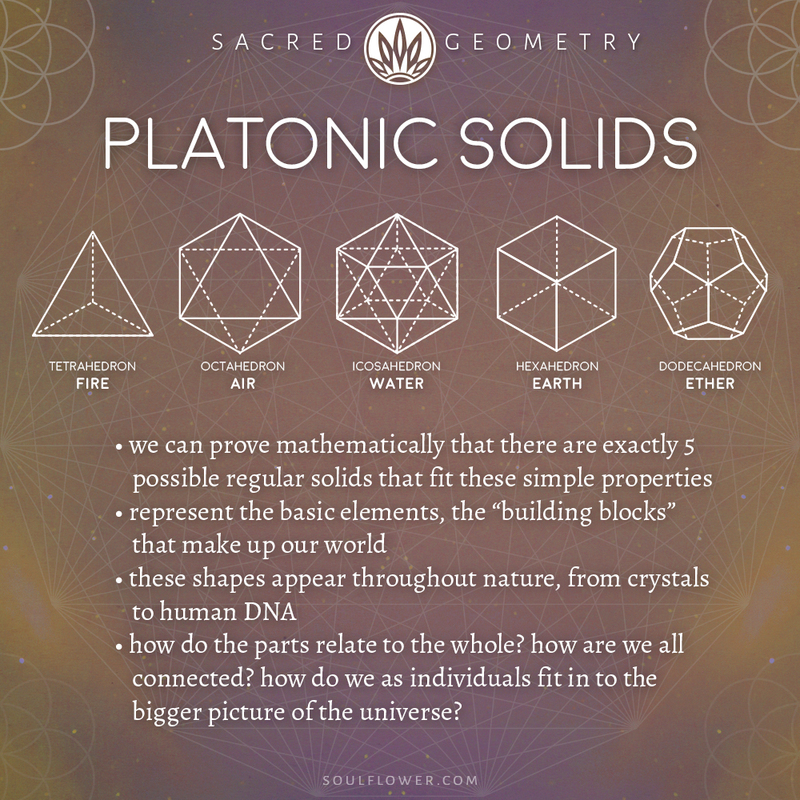 Sacred Geometry is just one component in a vast concept of synchronicity. A synchronicity between nature, science, music, math, art, and the physical world. Have you heard of the nautilus shell matching the Fibonacci sequence? Sacred Geometry is everywhere in nature. Snowflakes and beehives are hexagons found in nature. Repeating geometric shapes like fractals occur in ice crystals, ferns, and even broccoli (just to name a few). Did you know you can find the flower of life in fruit seeds and flowers? Look to nature and you will find sacred geometry. 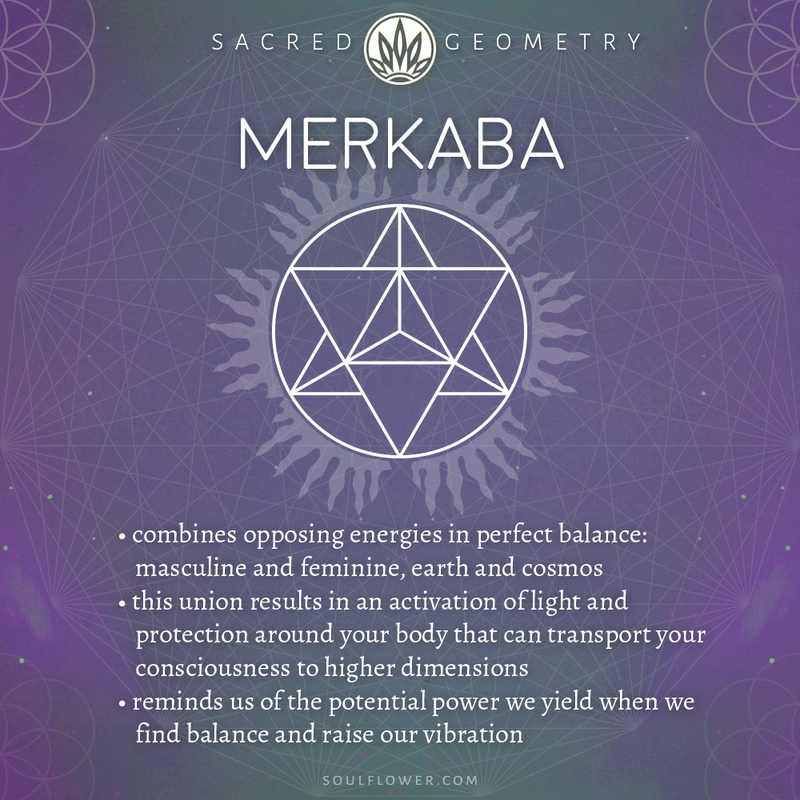 Learning about sacred geometry means studying the shapes and their metaphorical relationships to the human mind, body, and spirit. 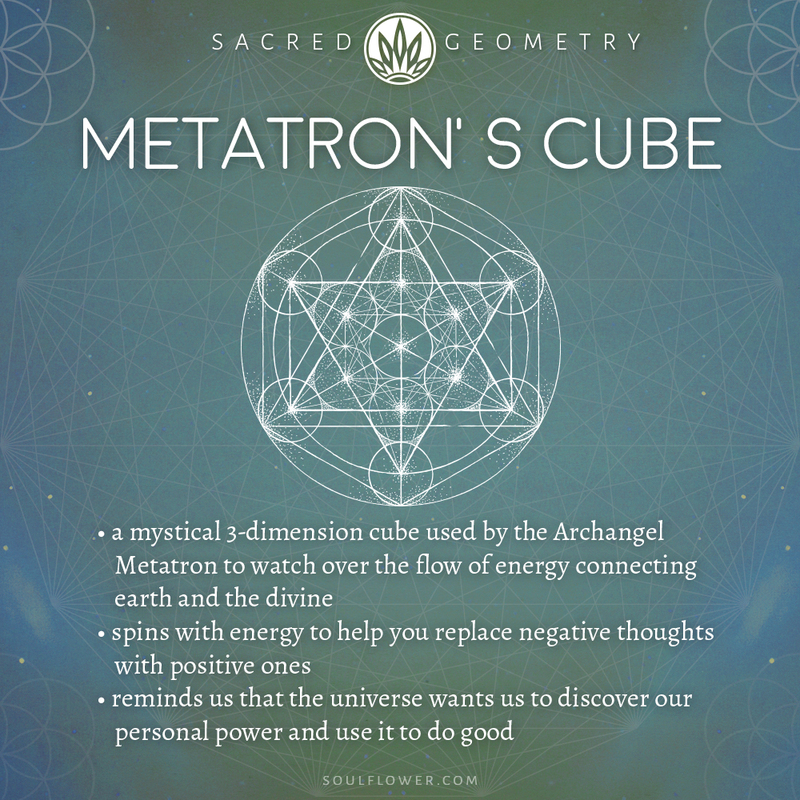 Some say that studying sacred geometry can help us learn more about ourselves and our place in the universe, resulting in an awakening and transition to higher states of consciousness. 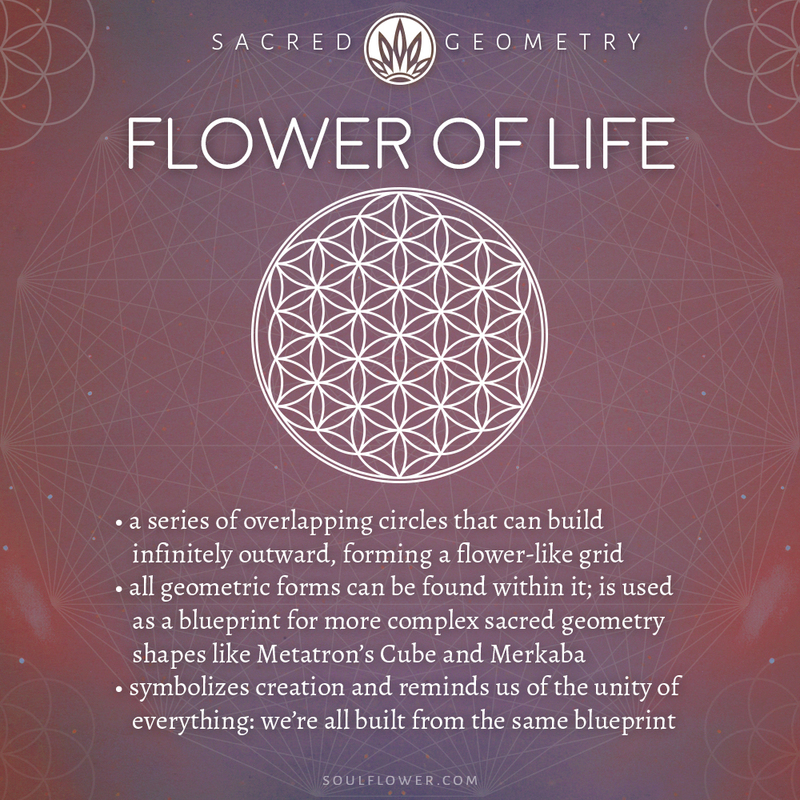 We use sacred geometry to inspire our designs at Soul Flower because it’s meaningful AND looks cool! It’s interesting how these shapes relate to natural geometric forms found in nature. And it’s profound to see how these patterns have inspired people throughout history. The idea that there are naturally patterns hidden in the universe that are also aesthetically beautiful design-wise is cool and mysterious. 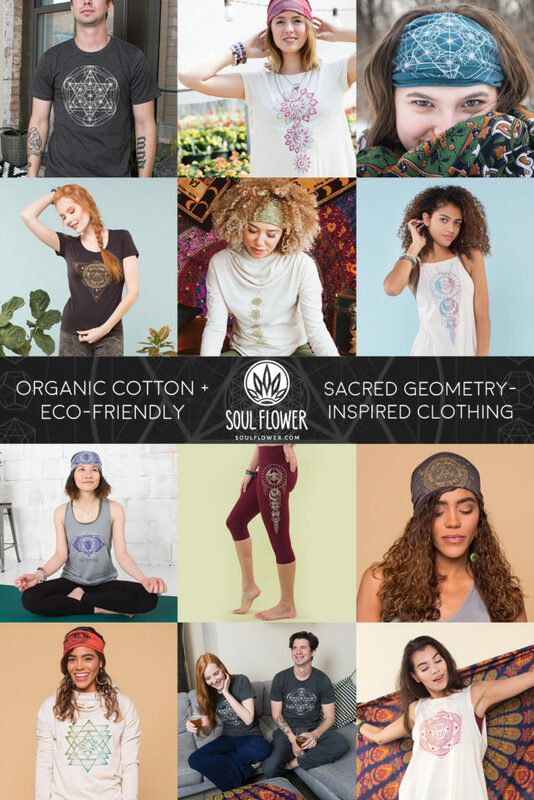 Our Sacred Geometry Clothing & Sacred Geometry Jewelry feature symbols like flower of life, platonic solids, hexagrams and more.